Legrand Legacy: Tales of the Fatebounds is the latest title by Semisoft and published by AnotherIndie. 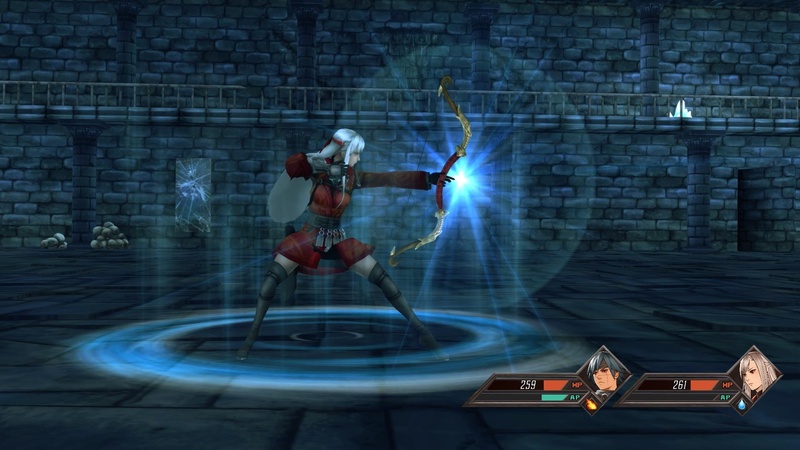 The developers of the game describe the game as “A nostalgic love letter to classic JRPGS”. Is it a letter of love or just a list of sweet nothings? So when following the description that the developers gave with the game, Legrand Legacy follows the graphical style, settings, combat and narrative of JRPGS prevalent around the late 90s to mid 2000s, we are talking Final Fantasy VIII to IX, Shadow Hearts, The Legend of Dragoon, Suikoden, the Playstation era of JRPG. Legrand Legacy opens with a CGI cutscene showing JRPG walking cliche Finn, he’s got blue hair, covered in scars and has amnesia. You’re thrust into his boots mid battle in a coliseum and some mysterious force causes his victory and that triggers events which lead to world exploration, party building, army raising and of course ancient evils. Through the adventure you’ll meet various classic JRPG party members from the mysterious mage to the member of royalty who wants to get their hands dirty and make the world a better place. Much like it’s main character, the party plays out exactly how you feel it would, there isn’t any surprises here for better and worse. 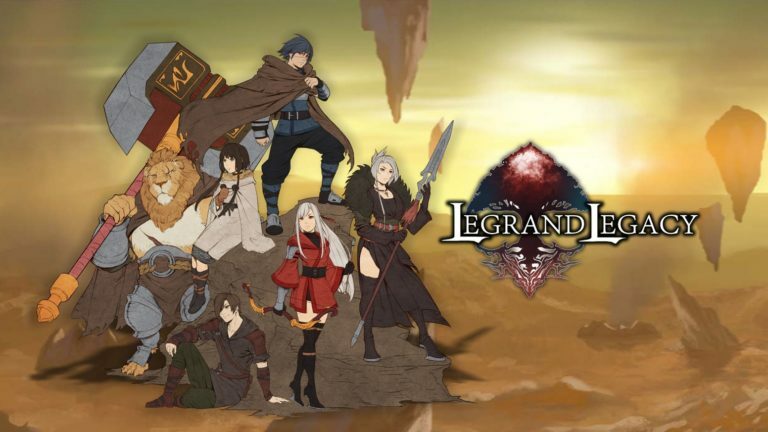 The main narrative of Legrand Legacy is endearing and familiar, the developers did a fantastic job here of creating a mystery you’re eager to get to the bottom of and a cast that are interesting enough that you want to see the story come to it’s conclusion. Much like it’s cast though, don’t expect any surprises if you are well versed in classic JRPGs, the story doesn’t reinvent the wheel but merely remind you how much you used to love driving. 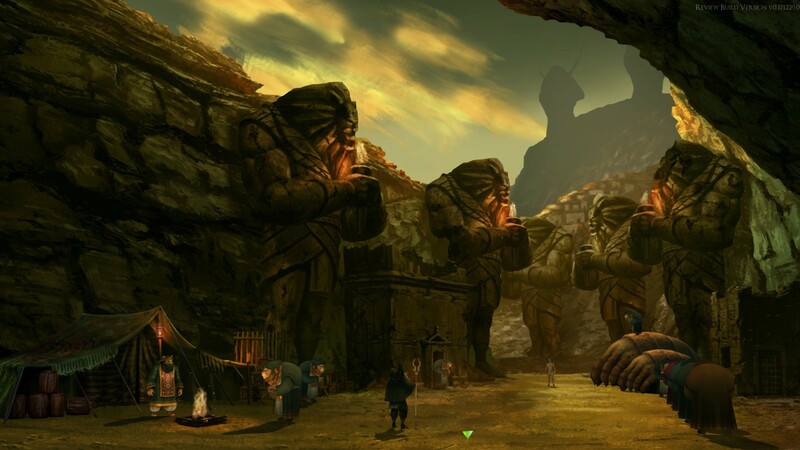 Visually I instantly fell in love with game, pre-rendered backgrounds, Ps2 era character models and some fantastic fantasy aesthetics took me back to my younger years, exploring interesting and engaging worlds, wanting to see each and every corner and meet every NPC. Legrand Legacy lays the nostalgia on thick with it’s dungeons and towns with each environment being familiar yet completely new. My only real gripe with the visuals are the lack of animations in the bigger scale battles which I’ll go over in a little while and that the game doesn’t really let you explore towns and it’s overworld too much, rather it shows an image and you move a cursor to a specific location then it throws you in there. 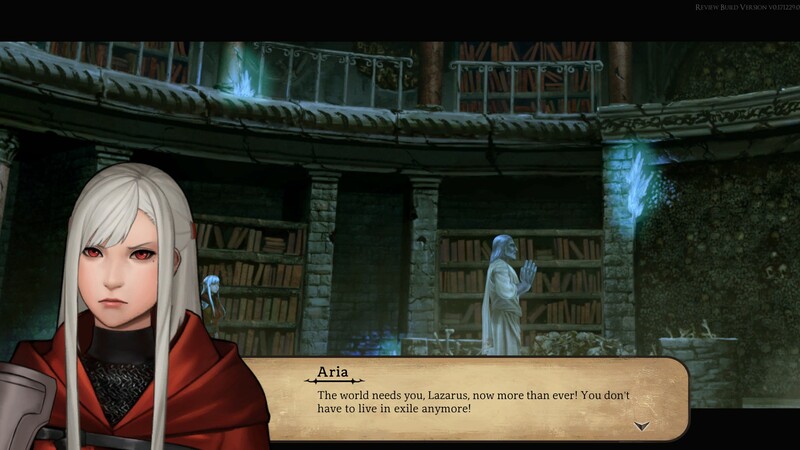 Legrand Legacy features some voice acting and none of it is really stand out, it’s serviceable and a welcome addition but it isn’t something to scream and shout about. The soundtrack on the other hand is beyond perfect, like most of the game it brings on the nostalgia but manages to etch it’s own way into JRPG history with some of the best and epic tracks I’ve heard from the genre in years. The gameplay in Legrand Legacy manages to follow it’s M.O to the letter, it meshes classic turn based battles, exploration, castle building and large scale war in this tight little package. 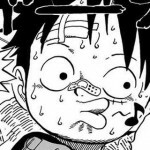 The standard combat is a turn based affair and takes inspiration from titles such as Shadow Hearts and Lost Odyssey, you have a ring and have to press a button in the right section, get it within the area and you have a good attack, get it spot on and you’ve got yourself a critical. You’ll build up a special meter the more you fight and this allows you to trigger a much stronger attack. Healing magic and buffs/debuffs don’t require the Ring system and there isn’t an M.P meter which was initially quite jarring but I didn’t mind the change. As you build levels you can assign stats and during this the game will inform you which stats will unlock your abilities which allows you to customize your build to suit the playthrough you are on, it’s a nice little gesture and was greatly received. The game also features a rock, paper, scissor style weakness system, safe to say if you have played an RPG before you’ll be right at home very quiickly. Later in the game you get a castle in which you can improve by finding members to join you. This adds some extra content to the game in that you’ll want to get every person you can recruit to join your castle and give you the best advantages possible, this reminded me so much of Suikoden and Skies of Arcadia and it’s a feature I didn’t realized I had missed in the genre until this. To break the game up a little more you’ll also come across battles much bigger in scale that require your army. These are more like lite-SRPG battles and become quite frequent towards the latter end of the game, while not quite the depth of something like Fire Emblem or Shining Force these are still very enjoyable and will mop up more of your time than you’ll realize.